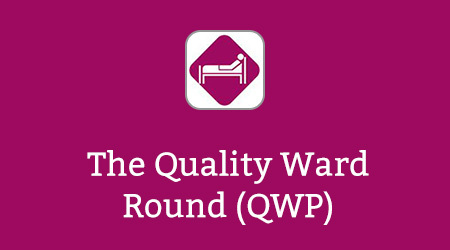 The Quality Ward Round Programme was set up in 2012 following local work by the team at Surrey and Sussex Healthcare NHS Trust to develop a low technology simulation ward round training programme. In 2012, the team at Surrey and Sussex Healthcare NHS Trust collaborated with partners in the Kent, Sussex and Surrey region including Brighton and Sussex Medical School, Western Sussex Foundation NHS Trust and the South West Thames Foundation school with support from Health Education Kent Surrey and Sussex to take the work further. The programme has been replicated in other Trusts regionally and helped to generate similar training in other centres across the UK. The final part of the project development is the e-learning module. If you already have an account with e-LfH, then you can enrol on to the Quality Ward Round Programme by logging in to the e-LfH Hub, selecting My Account > Enrolment and selecting the programme. You can then access the programme immediately in the My e-Learning section.